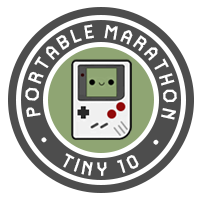 From the brilliant minds of the GB community, we present to you the Handheld Heroes marathon: a 3 day long speedrunning showcase where well known and lesser known handheld games will be represented. Watch it on twitch.tv/speedgaming from July 14th until July 16th or if you are interested in joining up yourself, submit your run at http://www.speedrun.com/Handheld_Heroes/forum . The GB community Discord has discussed organizing a speedrun marathon of solely GB games several times over the past year, however, nothing ever came into fruition. Recently, a few dedicated members took it upon themseves to get the ball rolling, and rather than focus on just GB games, expanded it to every handheld system created. Now even more underrepresented games and systems have a chance to spread their wings and gain some love from the speedrunning community.